Here’s some news that Don Benton will welcome. Benton chaired Donald Trump’s 2016 presidential campaign in Washington and was rewarded with an appointment as director of the Selective Service System. Earlier this month, Benton was cleared of any wrongdoing stemming from a speaking engagement before the Hawaii Republican Party last September. Following the event, the Campaign Legal Center filed a complaint accusing Benton of violating the Hatch Act, a federal law that prohibits most federal civilian employees from using their positions for political activity. 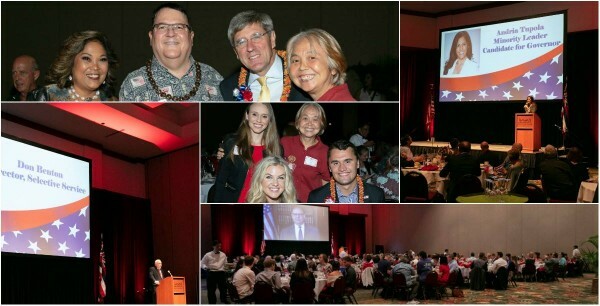 The U.S. Office of Special Counsel investigated whether Benton had violated the 1939 law by speaking at the Hawaii GOP’s Constitution Day Dinner while his federal title, “Director, Selective Service,” was projected on a screen behind the podium. Ana Galindo-Marrone, the Office of Special Counsel’s Hatch Act Unit chief, wrote a March 14 letter to Benton informing him that her office had found no violation and had closed the case. Federal investigators determined that Benton had sought legal advice prior to the speaking engagement. Benton was told he could proceed as long as he avoided speaking about the Selective Service System and instead focused on the 2016 presidential campaign and the Trump administration. Galindo-Marrone said Benton had explicitly told the Hawaii Republican Party that his federal position could be used only in his biography and in his introduction. The Seattle Times reported that Benton issued a statement Friday saying he always expected to be cleared.